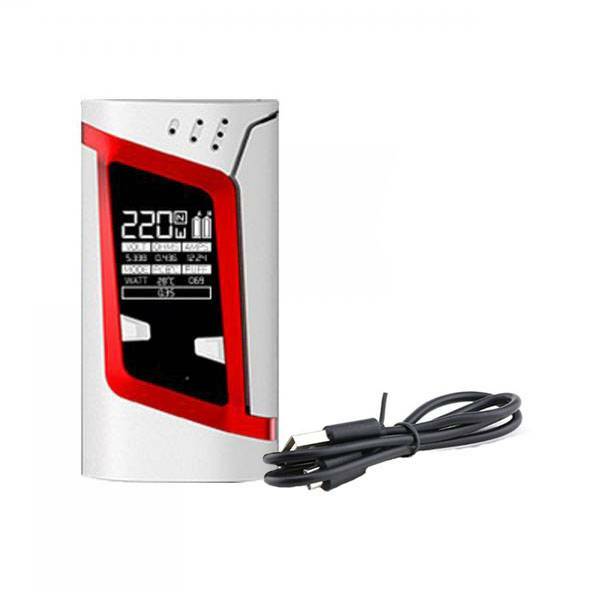 SMOK Alien 220W Battery - White Red is a top-level product: the tidy and ergonomic design is pleasing to the touch, with a good hold. The activation button is located at the front, ensuring a unique void. Smok Alien is made of zinc alloy and protective paint. The Smok Alien box mounts an ultra-precise chipset that pushes up to 220W thanks to the two 18650 series batteries (NOT included). It has a large Oled display, which offers a wide range of information including the status of the two batteries. The delivery modes are VW (power) and TC (temperature control).